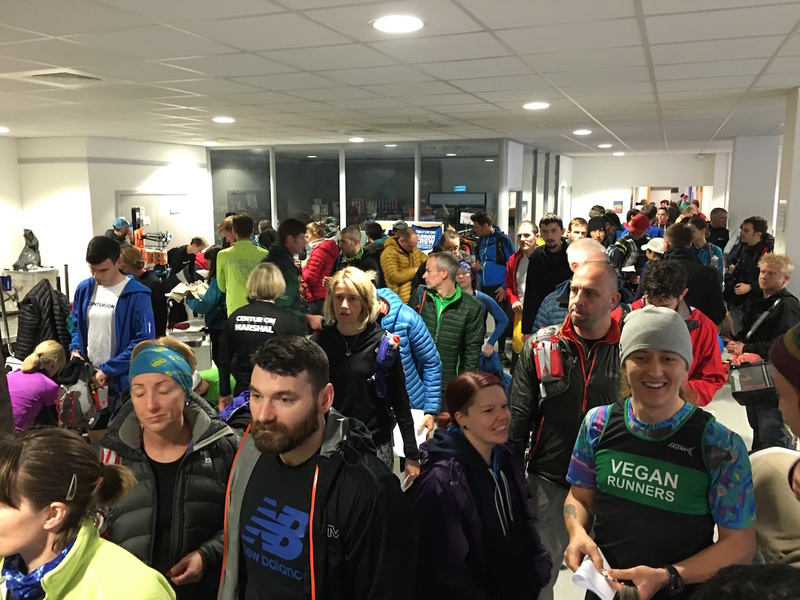 The South Downs Way 50 was just another race in a long line of races so far in 2016. 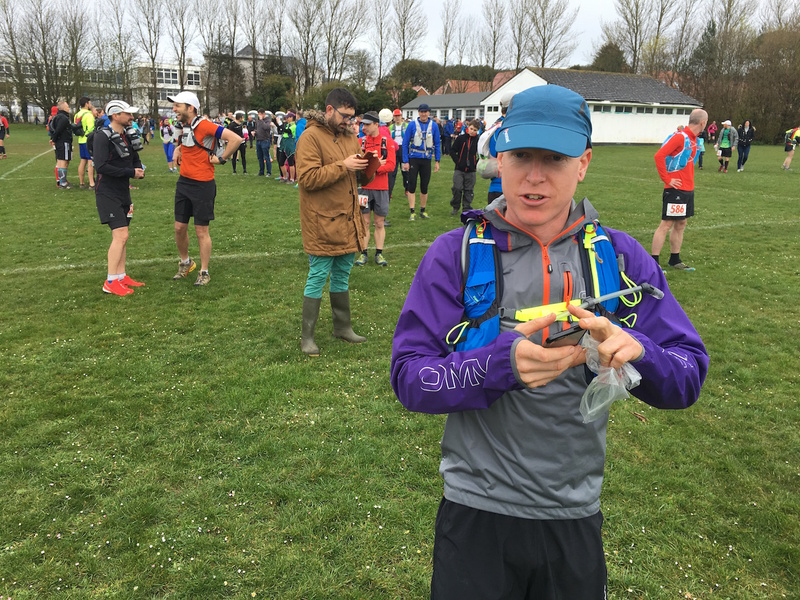 Last weekend I ran the Paris Marathon, the weekend before that was the World Half Marathon Championships in Cardiff. The week before that I ran the CTS Endurance Life Ultra in Eastbourne, before that, the Larmer Tree Marathon, Steyning Stinger Marathon, Heartbreaker Marathon, Breakfast Run Marathon, Worthing Half Marathon, plus Thames Trot 50 at the beginning of February and Dark Star River Marathon at the end of January. It’s been race after race after race. Some I’ve taken easy and some I’ve raced hard. 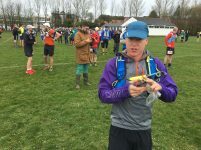 In terms of times and results, Dark Star River Marathon, Steyning Stinger and the Cardiff World Half Marathon Championships have been my best runs so far this year. I’m in training for a variety of major events on the horizon. I am going to attempt a marathon PB in London in a couple of weeks. Then Richard and I are running the Transvulcania Ultra in La Palma in May. Whilst I’m not going for a time specifically, I would like to do well, but I am also filming and I want to enjoy the experience. Then in June we are running the SDW 100 and in July I am doing my first full Ironman distance triathlon. Given all this, catching a cold a few days before the South Downs Way 50 was not what I was hoping for. Thankfully I managed to keep the worst of it at bay, unlike the rest of my family who have been suffering terribly, and I made it to the start line on a cloudy day in Worthing, West Sussex. I wasn’t feeling 100%, but I certainly felt well enough to run. However, I decided against filming. It looked liked it was going to rain for much of the day anyway so it seemed to be the right decision. 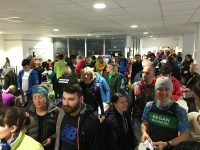 The South Downs Way 50 was to be my first Centurion event. Centurion are a bit of a giant among race organisers in the South East of the UK. 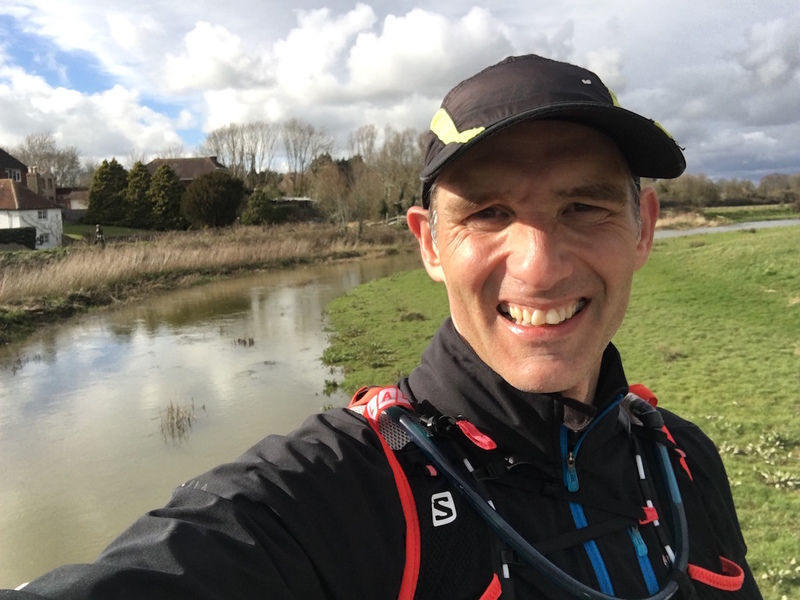 They are famous for their four Grand Slam 100 mile events, the South Downs Way 100, North Downs Way 100, Autumn 100 and Thames Path 100. Always well organised, always sold out and often some very impressive times. It was good to see so many familiar faces at registration. There is mandatory kit for the race which is checked at registration. Both Richard and I had no intention of finishing in the dark but a head torch is still part of the mandatory kit, along with foil blanket, dry base layer and a motorbike…..only kidding about the motorbike. Richard had suggested that we run together for the first part of the race, like we did at the Thames Trot 50. I laughed to myself as the race started and Richard went off at a pace way faster than I had been planning on. I let him go and tried to stick to my pace of just over 6 minutes per kilometre. 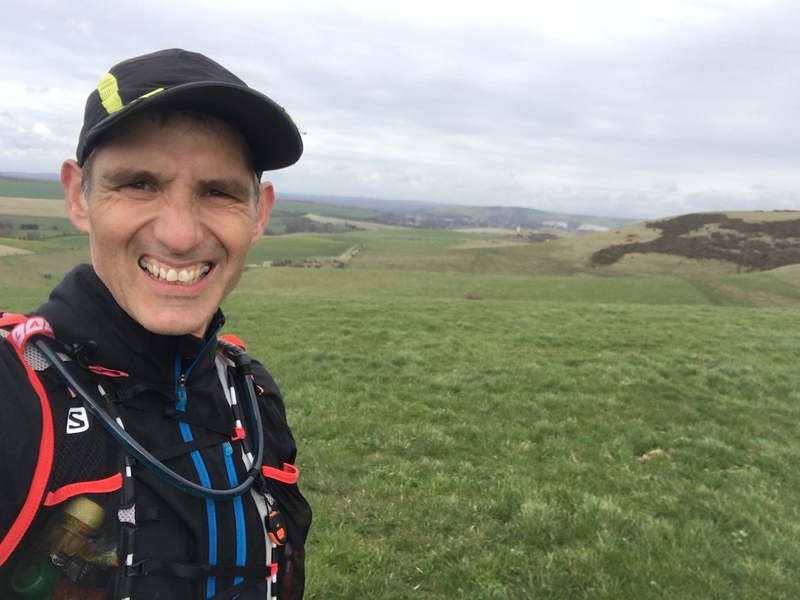 As the name suggests, the South Downs Way 50 is a 50 mile race which follows the route of the South Downs Way from Worthing to Eastbourne. 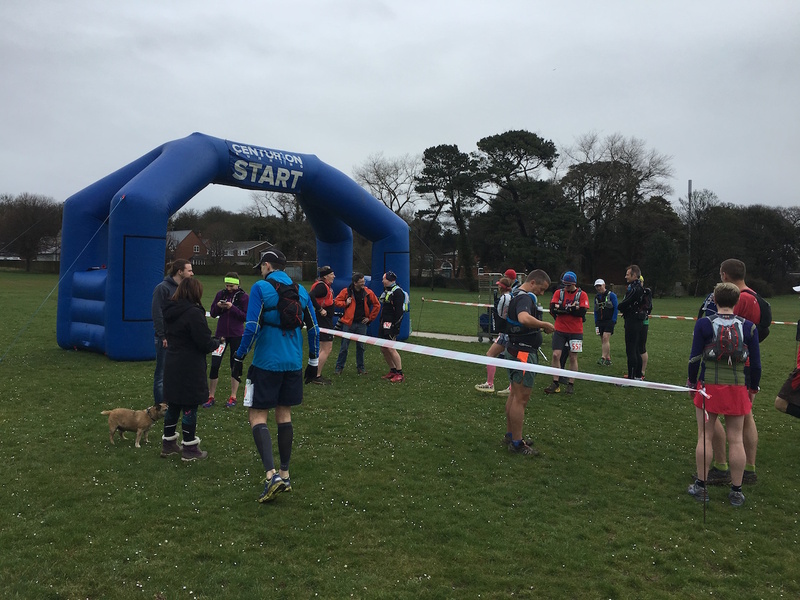 The first section of the race is spent getting to the South Downs Way by running north from Worthing, up and round Cissbury Ring to join the route just north of Findon. Once on the route we passed Chanctonbury Ring, crossed the River Adur and ran on to Devil’s Dyke. This is all ground I know very well. The Three Forts Marathon and the Steyning Stinger Marathon both use parts of the South Downs Way here. Richard and I ran our first ultra a couple of years ago, called the Longman Ultra. So we were also familiar with the next few miles of the route away from Devil’s Dyke, across to Ditching Beacon and down to the A27 and the check point at Housedean Farm. Centurion aid stations are very well stocked. Crisps, chocolate, melon, sandwiches, nuts, jelly babies, cake, wraps, water, Coke, juice and plenty of volunteers to help too. The aid station at Housedean Farm marked the marathon point. So just over half way. I had been planning to complete 10k every hour and 5 minutes but this had slipped way off already by the half way point. 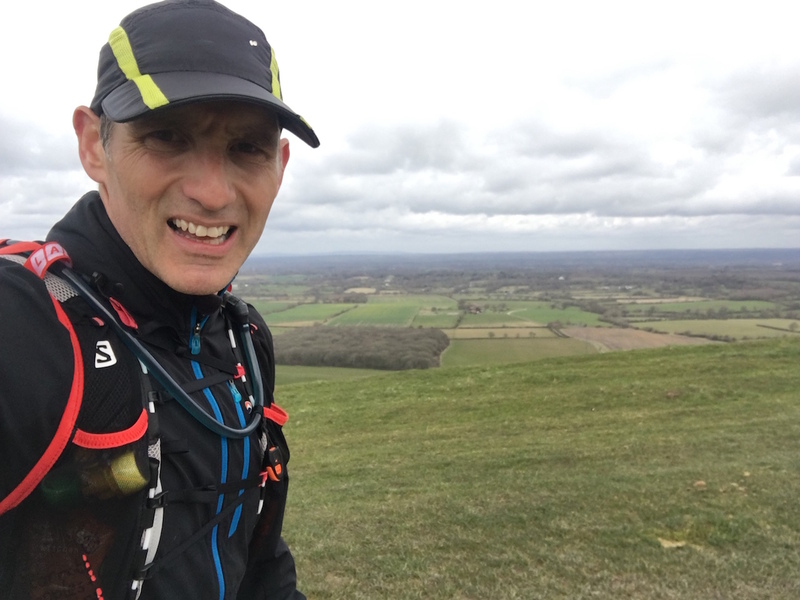 You simply can’t run up all the hills in the South Downs Way 50. If it was a marathon I might give it a go, but over 50 miles you need to conserve energy. Many of my kilometre splits were 8 or 9 minutes and a few were 11 and 12 minutes, walking up those hills. By half way I was starting to feel it. I am becoming aware that in these longer races I do seem to suffer a lack of confidence, mental strength and will power (perhaps these are all the same thing) around the 30 mile mark. It happened at the Grim Reaper 70 mile race last year and the Thames Trot 50 in February. I struggle at this point and it can take me a while to get back in to the swing of things. The South Downs Way 50 was no exception although I think it took me around 10 miles to get my mojo back. 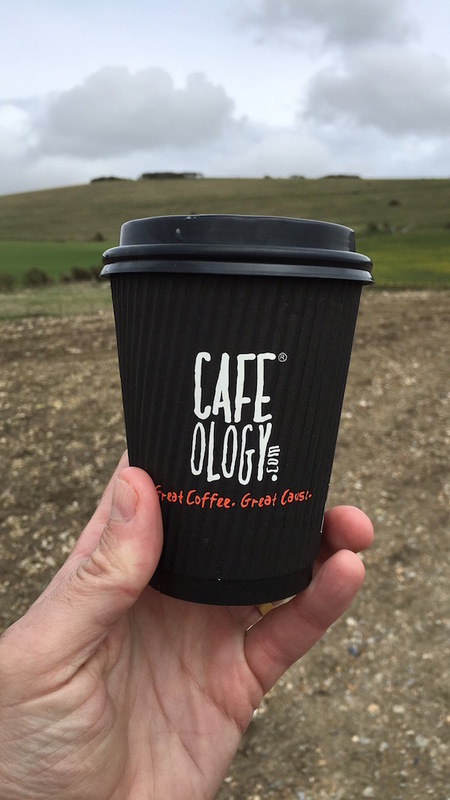 It wasn’t until I took a monumentally long break at the Southeast aid station near Newhaven that I was able to pick things up. The reason I took so long was that I really wanted a coffee, so I waited at the Youth Hostel Association Cafe to get served and bought a lovely latte. It was lucky they accepted contactless payment from my phone as I had no cards or cash! I drank my coffee walking up the hill out of Southease and then I got myself back up and running. My kilometre split at this point was 20 minutes!! However, with around 16 miles to go I could see the end and I started feeling better. 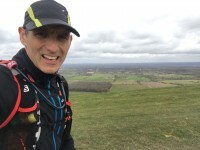 I think I am going to give up on my Tailwind/Coke combination in my hydration pack though, especially in races where Coke is supplied at the aid stations, which it was at the South Downs Way 50. I get to a point where I just need water as a refresher, rather than having an energy source. When I get past 30 or 40 miles I think I am well in to fat burning mode anyway and I can survive on very little. 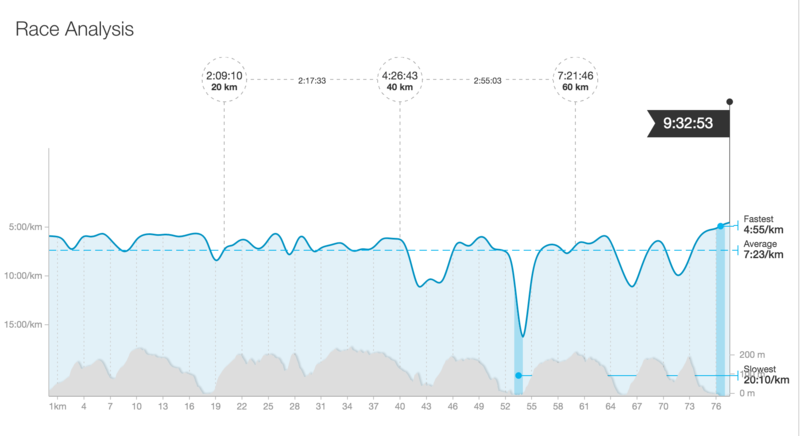 There were still some very slow long climbs but in general I ran well for the last 20 kilometres and felt good. 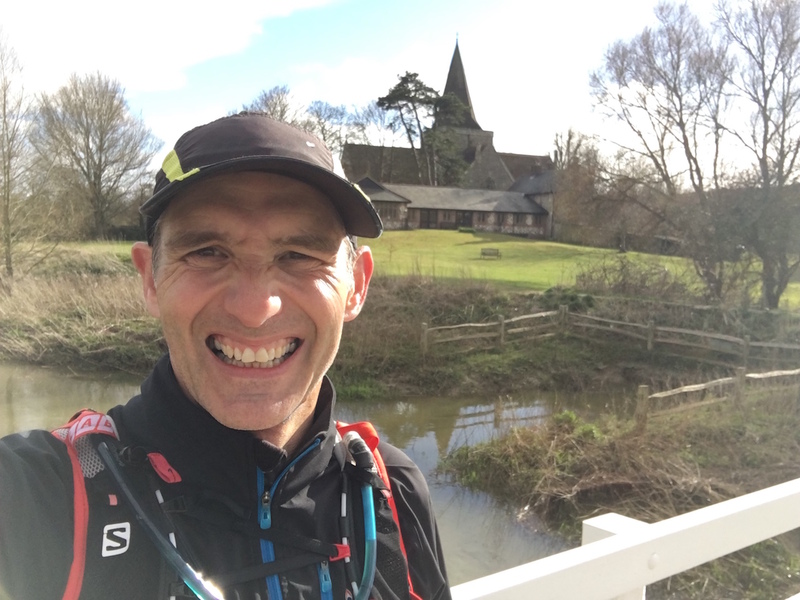 The sun came out when I got to Alfriston with 9 miles left and by the time I hit Jevington village there were only 4 miles left….although one of those was a big climb! I was passing quite a few runners on the way, albeit these were only runners who had passed me whilst I was taking my ridiculously long stop at Southease. The drop down in to Eastbourne is treacherous and I would certainly not have liked to do it in the dark, even with a head torch. I hit the tarmac with 4k to go and made a real effort to get past a few more runners and finish strong. As has happened before in these situations, my fastest kilometre of the race was in the final section of the race. In fact my last 4k of the South Downs Way 50 were the fastest I’d done all day. Past the back of Ratton School, past Eastbourne College and round the side of the hospital to Eastbourne Sports Park, home of Eastbourne Rovers AC. I even passed a couple of runners on the track! That said, Richard had finished over an hour and a quarter ahead of me in 29th place. I finished 100 places behind him taking 9 hours 32 minutes. I had been looking for a 9 hour finish and I guess if I hadn’t spent so long at a couple of aid stations, I might have done it. But perhaps I needed that time. Given that I was not 100% well I will accept a mildly disappointing result and stick it down as good training for the 100 and for Transvulcania. At least I finished in the light. Some runners were out there for well over 12 hours. I had coffee but couldn’t stomach the food on offer. I took a very long shower and began to feel human again. There are buses taking runners back to the start at Worthing. Richard got bored waiting for me and took a bus back before I finished. It was probably a good idea because even after I’d finished it took me a long time to feel like I was ready to go! 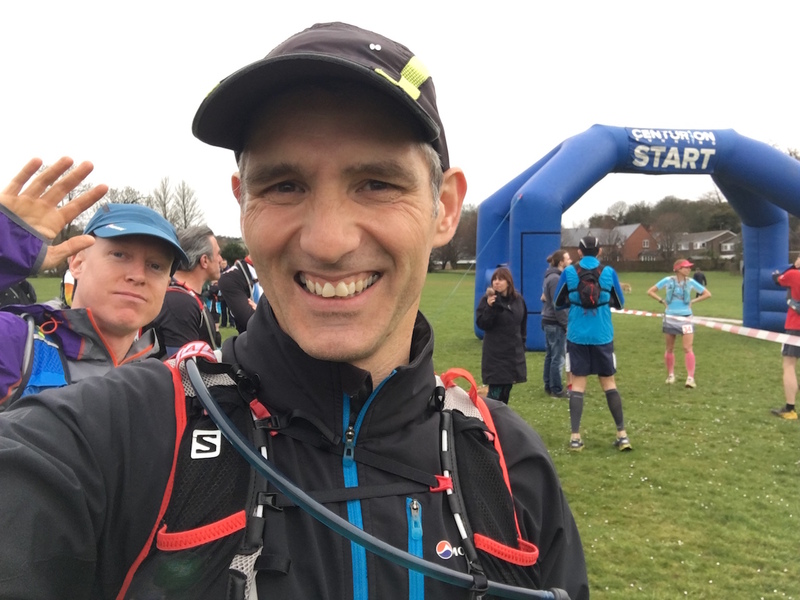 Despite the poor..ish time I very much enjoyed the race and I am confident we can get through the SDW 100 race in a couple of months. I’d love to do that in under 22 hours but we’ll see.